The incurable illness dubbed 'marriage' in which a man falls in love through his eyes, a woman through her ears. But, ma'sha'allah for the last dude . . . . It oft happens that a man falls in love with just a smile, but ends up marrying the whole woman. Nope, He comes with an Afterlife Guarantee. Yess! The comics are back! 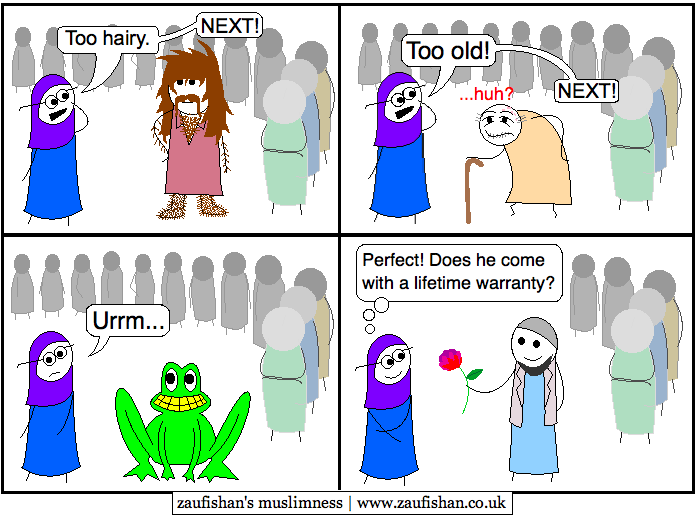 MashAllah, what a handsome stick figure that is.